If you like exploring and walking, there are some beautiful coastal and scenic walks where you can visit nearby bays, the picturesque little harbour of Kouloura (approx. 15 min. 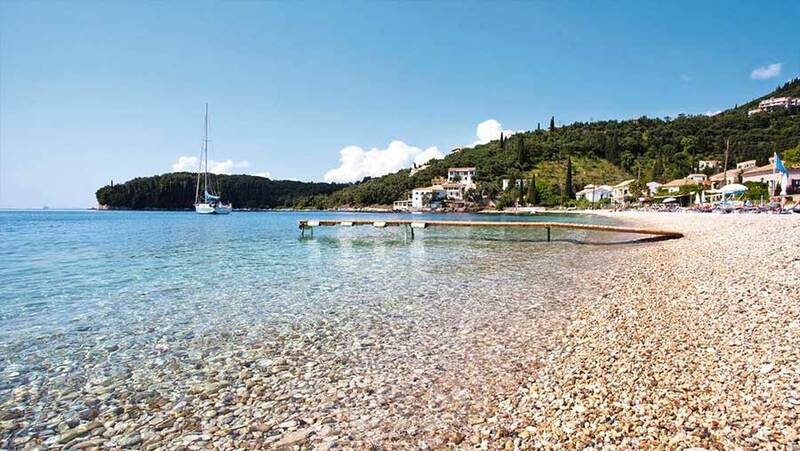 walk), the next bay on the right of Kalami, which is one of the best highlights of the northeast coast of Corfu, then Kerasia (approx. 30 min. walk) and San Stephanos (approx. 1h 15 min. walk). On the other side of Kalami you can reach Yaliskari – or Gialiskari – bay (approx. 15 min. walk), which is an isolated and unexploited beach with vivid green and crystal water and a little further Agni bay (approx. 25 min.walk) with three traditional taverns. On the 21st of May is the name day of Saints Constantine and Helen. The local church of Saints Constantine and Helen is located on the main road nearby the village Gimari (the top village over Kalami). The local people celebrate the name day of the Saints with a festival in the back yard of the church. There is plenty of food with “souvlakia” or grilled lamb and soft drinks, Greek retsina wine or beers. The people are dancing to traditional Corfiot and Greek songs played by a live band. During the summer season, the festival of pie is organized at the same place. The local women cook delicious pies for all of different tastes: pies with courgettes, potatoes, salted codfish etc. There are also grilled “souvlakia” for the meat lovers. Everybody enjoys the food and drinks, dancing with live music. Every year, the local businesses of Kalami organize the Varcarola festival in Kalami. An old Corfiot event, where the boats, decorated with lights, sail along Kalami bay as the choirs of the Municipality sing traditional Corfiot songs called “cantades”. Kalami is a small picturesque village and the parking areas are limited. Some properties, such as villas, apartments and studios or rooms, have the privilege of private parking. Although, there is an open parking area for the public at the end of the village, the choice of accommodation, which provides parking for your car, especially the high season – the busy period of July and August – is definitely demanded. 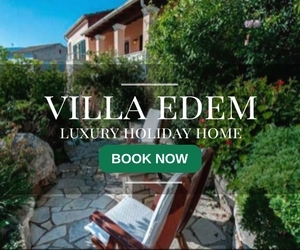 Do not forget that the car hire is a must for the visitors, who want to explore the beauties of Corfu, or visit some of the highlights and the most scenery spots of our mythical island.